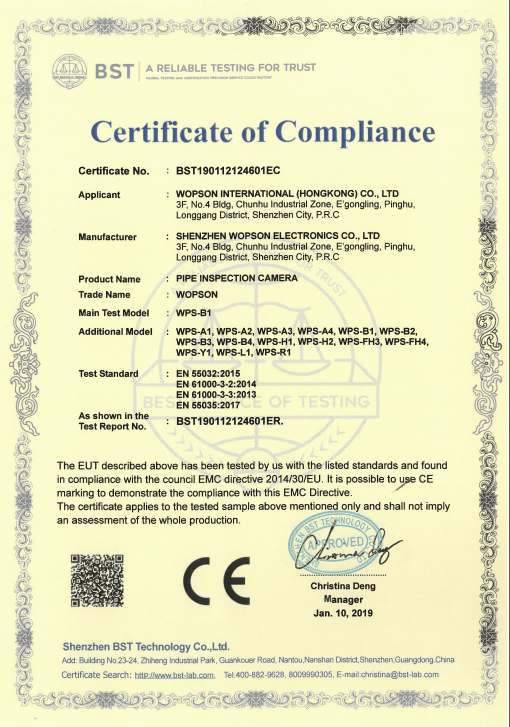 China Wopson Sewer Pipe Inspection Camera With Push Rod Wheel 30m Fiberglass Cable supplier - high quality sewer inspection camera for sales, sewer inspection camera manufacturer. Color CCD Camera, 60° Camera vision angle (Metal Construction, Short Camera Head, Micro Camera Head, Built-in Sonde and CMOS for Options. With USB DVR function for video and audio recording, snapshot.